Alexa – how can digital assistants help procurement become more strategic? The role of the digital assistant in helping procurement become more strategic. In today’s digital world, we now generate and have access to more data than ever before, the volume of which has made it almost impossible for employees to sift through and find answers to simple questions. This is particularly true in procurement, where teams have to work with a mountain of data, ranging from purchases, invoices, supplier information, risk indicators, product details, vast spend management sums and qualitative data on supplier relationships and performance. Fortunately, AI-powered digital assistants are now available to help with day-to-day tasks and queries. One example of how voice has changed the workplace is in the IT department. Doctify, a health technology platform, adopted a digital assistant from Dynatrace called Davis in 2018. Doctify said Davis is “the most loyal and reliable member of the team” and having conversations with it became part of the daily routine. The use of voice in the workplace will become much more influential in the future, with a recent Gartner survey showing that over 50 per cent of medium to large enterprises will deploy digital assistants by 2020, which will help to free up time for more strategic tasks that hold greater business value. However, as with any technology adoption, companies must ensure they can walk before they run. Procurement has endured a poor reputation over the years as being ‘old-fashioned’, with various tasks still being performed manually. Digital assistants offer the opportunity to give the department a new lease on life, throwing off the shackles of manual processes. In procurement, digital assistants can provide valuable help, retrieving information on suppliers and transactions to assist the procurement team. For example, if someone on the team wanted to get the breakdown of purchases in the last six months, a simple conversation with a digital assistant can fetch that information in a matter of seconds. No more searching for a relevant report or building one from scratch. The technology can also provide information on who the purchase is for, when the purchase was made and the quantity. Digital assistants can instantly create/edit shopping carts, expense reports and provide updates on payments. Simply asking a digital assistant “What is the status of the payment for invoice number 123456?” will provide an instant update on what the latest development is, with the assistant even able to set reminders or chase up payments. With the implementation of digital assistants in procurement, manual tasks like chasing invoices and payments or scouring through data for answers to simple questions will be less of a time drain, allowing procurement teams to spend more time focusing on strategic tasks that will bring value to the organisation. The goal for any digital assistant is to provide fast information to the user. Voice and chat windows are quicker mediums for gaining intelligence and data than manually searching through pages of documents for an answer. For organisations to gain this speed, it’s important they provide digital assistants with a solid data foundation to work from. Data quality issues should not be a barrier when implementing digital assistants. It’s important that companies address any underlying data issues to help assistants find the answers to questions being posed to them by procurement professionals. To remedy this, organisations must implement digital assistants in conjunction with addressing data issues, rather than using poor data quality as an excuse for inaction. A holistic approach to fixing existing issues and digitising data capture can help organisations to achieve this data foundation. 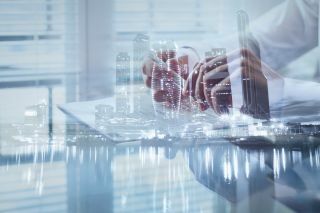 Organisations should embrace truly integrated suites, with integration at the data layer as well as workflow, to generate clean, connected data. And to address existing data issues or those in back end systems, master data management solutions can help correct errors, duplications and other issues. Without this, digital assistants will be handicapped and organisations won’t realise their full potential. For organisations to continuously compete and grow, they need to utilise the latest technologies like digital assistants to make business processes more efficient. For procurement teams grappling with vast amounts of data, digital assistants could be set to become a trusted member of the team, providing employees with quick insights and answers to queries. This can help improve productivity and will also allow procurement teams to invest that time into more strategic tasks like risk management, innovation and collaboration. Digital assistants will be vital in the coming revolution of human-to-machine interaction. Over time, more business applications will integrate voice recognition, voice command, and AI technologies, making them smarter and easier to use. We’ve barely scratched the surface with digital assistants in the workplace, but it’s clear the potential the technology holds, particular for data heavy departments like procurement. As users become more comfortable and reliant upon conversations with devices and applications, we could be about to see voice interaction become a primary interface to the digital world.